Apple’s new batch of smartphones have reinvigorated interest in the brand in light of increased competition. The iPhone X, iPhone 8 and 8 Plus are certainly exciting new phones, but give serious thought to a range of plans before diving in for the next two years. In this article, Canstar Blue compares plans for the iPhone 8 and 8 Plus. So what are you options? You can buy your preferred new iPhone 8, or 8 Plus, outright and find a good SIM-only plan. Prices for the iPhone 8 start at $1,079. You can sign up to a handset phone plan and gradually pay off your new phone in monthly installments, alongside your plan inclusions. What are the best phone plans on the iPhone 8? Starting prices with Optus and Telstra are a little higher, but these two telco giants are likely the best pick if you want bags full of entertainment features included in your bundle. Optus plans start from $80 each month on a standard two-year contract, while Telstra charges a minimum of $94 if you want to own the handset; however, you can save around $10 per month with either provider by leasing your device (more on that later). The entry-level published plans for each telco are listed below (not including phone payments). Some may include a link to the retailer for further details, and are sponsored products. Vodafone’s iPhone 8 plans are pretty interesting. Vodafone arguably offers the best flexibility across the Big Three, as it has separated plan and phone repayments. By doing this, you just have to pay for the phone repayment and can chop and change your plan as you like. This also means you can switch plan providers, but must keep paying Vodafone for the phone repayment. Different contract lengths are available – 12, 24 or 36 months, with no total price difference between the three. For example, the minimum you’ll pay each month for the base iPhone 8 64GB on a 12-month payment plan is $89.91 (not including your Red plan). This works out to be $1079 over 12 months. Contrast this with a 36-month contract, and your phone payment comes in at $29.97 per month, for a total cost of around $1,079 (again, not including your Red plan cost). Vodafone’s base $35 Red plan comes with unlimited calls & texts plus 2GB data, and you can shop around as you see fit as the plan is not locked-in. If you value a phone that’s not made for ants or tiny baby hands, the iPhone 8 Plus may be what you’re after. With Vodafone, total minimum prices over 12, 24 or 36 months work out to be about $1,229. This comprises of a $35 Red plan mated, to a $34.13 device repayment (over 36 months). Whatever path you choose – 12, 24 or 36 months – the end result is usually the same. Generally, the priciest phone plan also comes with the most data. The most data you can expect is ‘unlimited’ with 80GB full-speed, for which you’ll be paying $80 per month (plus any device repayments). Overall, Vodafone benefits from having flexibility, with separation between plan and phone. All Optus iPhone 8 plans include subscriptions to Optus Sport and National Geographic, plus data-free music streaming with Google Music, iHeartRadio and Spotify. Prices jump from $75 to $85 to $105 and $120+ a month as you add more data (up to 200GB) and beef up your entertainment and international calling inclusions. Optus is a serious challenger to Telstra in the bonus features department, especially when it comes to live sports coverage; there is so much to choose from, it can actually get a little confusing. But Optus may shine through for English Premier League soccer fans. Optus plans also include some form of international credit as standard. 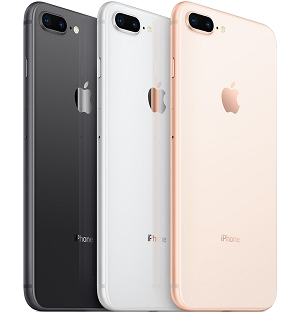 Optus’ iPhone 8 prices max out at $125 per month ($125 plan cost, plus $0 phone payment), or $3000 over a 24-month contract.. Overall, Telstra and Optus are the big boppers of the telco world, with the two of them trading blows to see who can come out as iPhone 8 champion. For a Medium plan with 20GB of data, expect to pay $79 a month plus a $20 device repayment ($99 each month in total). The Ultimate Unlimited plan includes unlimited high-speed data, plus free international calls for $199 per month (including device costs). Telstra clearly has the most costly iPhone 8 plans, but you can get an awful lot for your money- but be prepared for a big financial commitment. By siding with the largest telco in Australia, customers stand to receive more than just a phone plan – think of these phone plans as all-round entertainment packages. As mentioned above, Optus and Telstra both provide the opportunity to ‘lease’ the new iPhone 8 and 8 Plus, rather than buy it. In fact, they seem pretty determined to guide customers this way, with their respective websites showing leasing plans as the default option when you go to compare. This could lead to confusion if you’re not familiar with the idea of leasing a new handset, so be sure to read the small print before signing up. Leasing a mobile phone basically means you have to hand your phone back to the provider at the end of your term. Like renting a home, you have to keep it in spick and span condition, otherwise you face penalties. You’ll likely be subject to fees up to $400 if you break your phone or crack its screen. Fair wear and tear is allowed, but this is largely an ambiguous area. So why on earth would anyone go with a leasing plan? Simply put, both Optus and Telstra offer some strong incentives to lease the new iPhone 8. Expect cheaper phone plans, extra data or extra perks. Optus calls them ‘Flex’ plans, while Telstra calls them ‘Mobile Lease’ plans. When you lease the iPhone 8 or 8 Plus, you generally pay $10-odd less each month or get a few gigabytes extra data, but the catch is that you don’t get to keep the phone at the end of the contract. With Optus & Telstra you have the ability to upgrade your phone a year into your contract for a $99 fee, and keep your current contract running. This means you could upgrade your phone every year, such as when new iPhones are released. Lease plans could work for those who want to upgrade smartphones every 12 or 24 months, but if not, it’s hard to see the benefit. Considering a lot of people would upgrade their phone after a year or two anyway, this could be a convenient option and an easy way to get access to bonus data and other perks. However, the fact remains that you have to hand your phone back. You’ll also be subject to fees if you damage your phone, so investing in a case and screen protector may be wise. If you like the idea, here are some of the published available lease plan options from Optus and Telstra. Vodafone’s base plans pack in good amounts of data, while the telco also breaks from the norm to offer 36-month contract options. Telstra and Optus are the big boys when it comes to entertainment features, with Telstra boasting Foxtel Now subscriptions across all plans, while Optus tries to entice you with data-free Netflix, Stan and Yes TV streaming. Overall, there are two difference races going on – a race of cheaper prices and big data between Optus and Vodafone, while Telstra and Optus again do battle over big entertainment packages and extra perks. There are lots of plans to pick from, but try not to rush in without giving it serious thought. 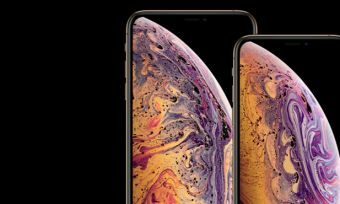 Phone contracts are serious financial commitments and should not be taken lightly, no matter how exciting the prospect of getting your hands on the best new phones.